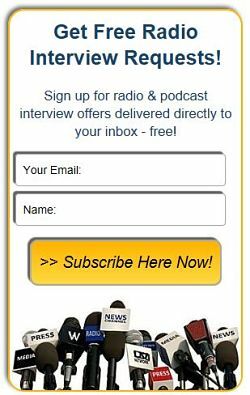 Lawrence Fedewa, Washington Times Conservative Political Writer - Radio Guest List.com - How to Get Radio Interviews and Find Podcast Guests! Conservative commentator on social and political news of the day. Former business man, technology executive, and college president. Lives on an Arabian horse farm near Washington, D.C.
Dr. Fedewa is the Author of more than 150 Washington Times online columns. He is known as an early interpreter of the Donald Trump phenomenon as well as fiscal, racial, and religious trends. Dr. Fedewa writes for average people who do not have the time or resources to delve deeply into topics such as the current election, American schools, and social trends. He has become a trusted voice for many fans seeking analysis of the current election. Dr. Larry was a knowledgeable and articulate guest on the Police Academy Podcast. Without any preparation, he was able to discuss a wide variety of topics with ease. Definitely a guest we'd like to have back in the future should topics require his expertise! Dr. Lawrence Fedewa has been extremely easy to work with and brought a wealth of knowledge to our podcast. We have truly enjoyed having him on our show and are already in the works to have him on again. Dr. Lawrence Fedewa was a recent guest of ours on Savvy; he was phenomenal. We discussed current events, politics, and some of the greatest challenges facing our country today. Dr. Fedewa was thoughtful, witty, and engaging. You’ll be excited to interview Dr. Fedewa as a guest or listen to a show featuring him. He shares his vast wisdom and knowledge on all things related to current events and the world. We look forward to having him back for future segments. Dr. Larry was a genius of a guest, He lit up our phones and did some amazing work with our other panelists. Our stations really enjoyed his appearance and he has been requested back. I interviewed Dr, Larry a few months ago for my radio show "Let's Talk" which airs on w4cy.com. He was very informative and very entertaining. I hope to get him back on the show very soon. If you want a great person to interview call Dr. Larry he's the best!! Freedoms Voice Radio just had Dr. Lawrence Fedewa on as a guest, which came at the suggestion of RadioGuestList.com. He was an excellent guest who was very knowledgable, articulate, engaging and experienced. His experience was evident in his ability to provide sound and supported thoughts, stories and recommendations. His radio presence was clear, professional and enlightening. We will be asking him to come back on the show on a regular basis.